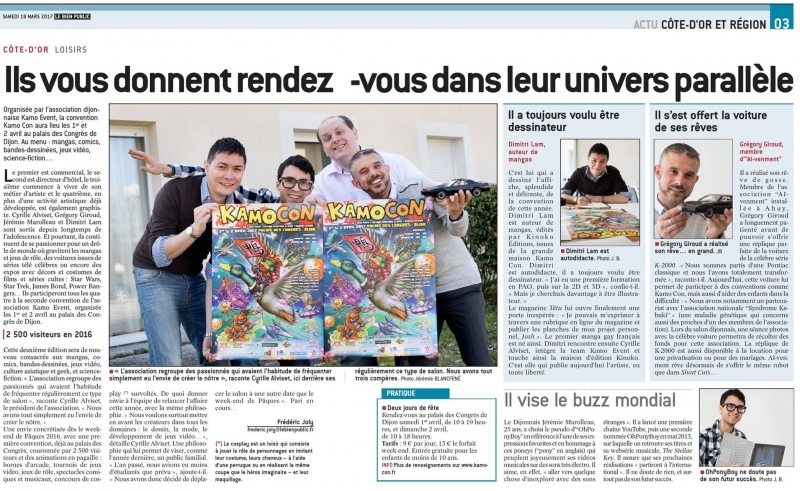 > I'm on Newspaper "LeBienPublic" ! Here I am again on Newspaper ! I will be at Kamo Con the 1st and 2nd April at Dijon, France. I will do a live demonstration saturday !